The Trump administration is cutting back on who on Capitol Hill gets to see intelligence reports on North Korea's nuclear weapons program, according to multiple congressional sources. Under the new rules, each party's House and Senate leaders, along with the chair and ranking member of the foreign relations committee, and the entire armed service and intelligence committees, get direct access to the reports. It is a change from previous distribution of North Korea related intelligence reports which, for the most part, gave access to the entire committees and the staffers on those committees. The fear on Capitol Hill is that the limited distribution, which has been implemented over the past few weeks, will leave Congress largely in the dark when it comes to what U.S. intelligence has collected about North Korea's motivations and nuclear developments. Some on the Hill, citing President Trump's outreach to North Korea, worry that the White House is limiting the flow of information because the reports might indicate Pyongyang is accelerating its nuclear program. "It is not a good look. It is very telling that they are doing this. We can't prove it, but it is an indication that there could be a significant problem," explained one senior Senate staffer. "The reports could give alarming details that they don't want out there in the public theater." The White House insisted that the change is not being aimed solely at Capitol Hill, but still admitted that there was a change in distribution. "The administration has limited access to certain compartments of [North Korea] intelligence because of numerous leaks that could jeopardize national security. The number of people has been reduced for both the [White House], executive branch and for congress. So this wasn't targeting Congress," said a senior White House official. "We worked with leadership and listened to the concerns to modify the first list to strike the balance of making sure members who need the intelligence get it but to also protect the most sensitive of intelligence." There are North Korea briefings made available to members of Congress in small groups, particularly Republican members who have a close relationship with the White House. Yet Republicans and Democrats alike are frustrated by the move, which they say will inhibit Congress' role in the high-stakes diplomacy being orchestrated by the White House and the State Department. "It will be problematic because even if you sit on a committee like [Intelligence], only the chair and ranking get that intelligence, not their staff. That is just kind of nuts," explained another senior Senate staffer. Certain highly sensitive intelligence reports on other topics do have restrictions on them. But the rules governing the North Korea reports makes this an even more stringent, and specific, lockdown on information. "Usually there has been higher clearance level required for this administration than in the past, but at very minimum intelligence staffers can see it or the Senate Foreign Relations Committee staff," explained another source. "But this is bigger and more restrictive because not even staff are allowed to see it." With the change happening so recently and Congress being out on recess, its direct impact has yet to be felt. Staffers are trying to figure out the best way to push back, and what questions to ask the administration about their decision. In the meantime, the move is expected to come to the fore when Mr. Trump has his second summit with Kim Jong Un. That summit is now scheduled for January, according to multiple administration officials. While the administration prepares for that meeting, they are also in a standstill as they wait for working level meetings between the U.S. and North Korea to commence. After his last meeting with Kim Jong Un earlier this month, Secretary of State Mike Pompeo said that North Korea agreed to those lower level meetings, which were set to be led by U.S. special representative to North Korea Steve Biegun. 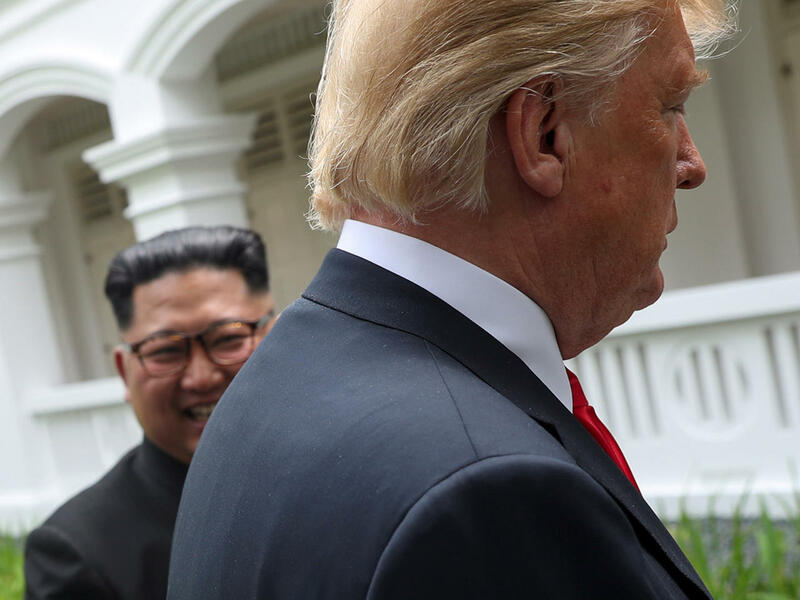 However, almost a month after Beigun put out an official invitation to meet his North Korean counterpart "as soon as possible," there have been no meetings. An administration official said that the new rules on North Korean intelligence were part of a crackdown on intelligence leaks. The administration, this official said, is worried about leaks complicating U.S. diplomatic efforts or jeopardizing intelligence collection efforts by exposing how the intelligence was obtained. When Mr. Trump came back from his first meeting with Kim Jong Un in June, he tweeted that North Korea was "no longer a Nuclear Threat." The statement quickly set off alarm bells among North Korea analysts who disagreed with the president's assessment. Later in the summer, some news outlets reported that classified U.S. intelligence showed that North Korea was continuing to develop new missiles. Those reports, unconfirmed by CBS News, challenged the notion that Mr. Trump's meeting with Kim had put and end to the North Korean nuclear threat. Given what a congressional staffer called the administration's "problem with leaks," the administration then started looking for ways to limit the dissemination of intelligence regarding North Korea. What remains unclear is if lower level analysts at the State Department, Department is Defense and Department of Energy are also being denied access to intelligence reports. The State Department said they do not comment on intelligence matters and the office of the director of national intelligence declined to comment at all. Pompeo confirmed that Kim is still running a dangerous nuclear program when he told members of congress that North Korea is continuing to produce fissile material. Members of Congress and congressional staffers, however, feel they need to know more than that to do their jobs effectively. CORRECTION: A previous version of this story said that only congressional leaders and the top members of the intelligence and foreign relations committees received the North Korean intelligence. It has been updated to note that the intelligence committees and armed services committees still receive that intelligence.